Architectural projects have focused on domestic dwellings that draw on classic rural forms and engage with the challenges of the New Zealand climate. In most cases the houses have been self-sufficient in energy with power from hybrid wind/solar systems. 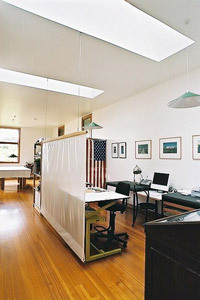 Current projects include a self-sufficent house in Canterbury and houses at Lake Ototoa and Muriwai. 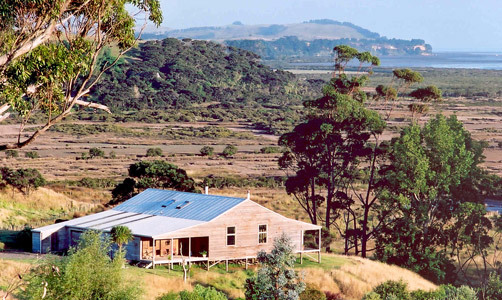 Kaipara Wetlands House. Hybrid wind/solar power supply. left: office/study area. Top, left to right: open living area, main bedroom, kitchen.